A new trout in town? 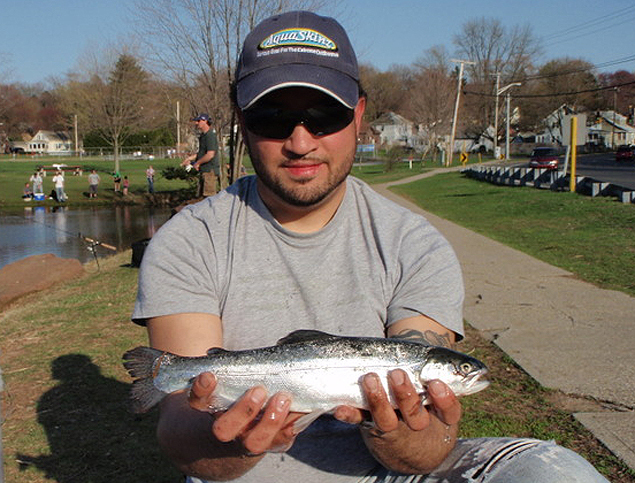 I hit a couple of public ponds this year that were stocked by a private fish hatchery due to a couple of annual spring trout derbies taking place. Once the derbies were over the general public and all were welcomed to fish these ponds. I managed to talk to a organizer of each (separate) event and what they told me got me curious. The private fish hatchery that was used and who stocks all the local fish and game clubs and private derbies. Was stocking out a new and unusual hybrid trout this year. 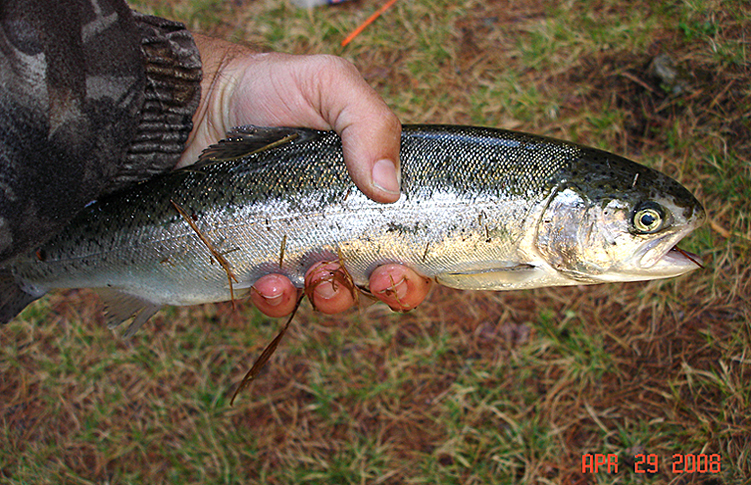 A cross between a steelhead and domestic rainbow trout. 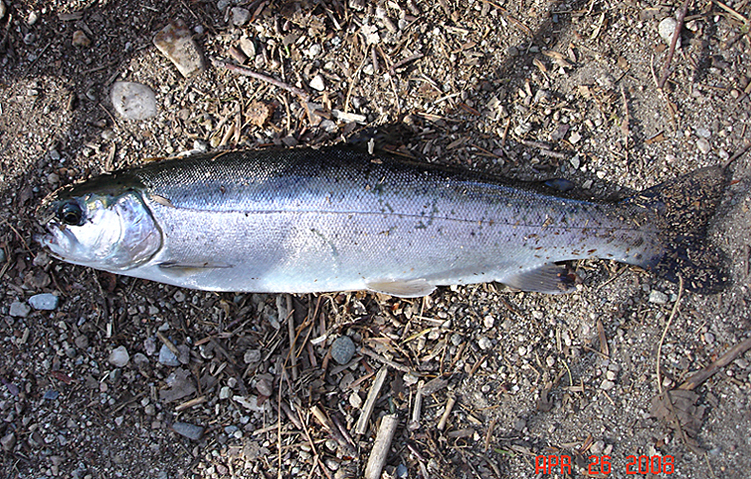 Technically a steelhead and rainbow are the same. However they can look very different from each other. 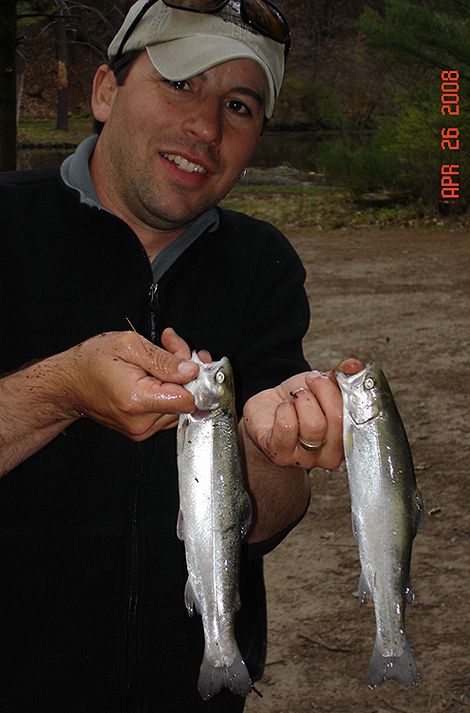 Steelhead are migratory and rainbows are not. 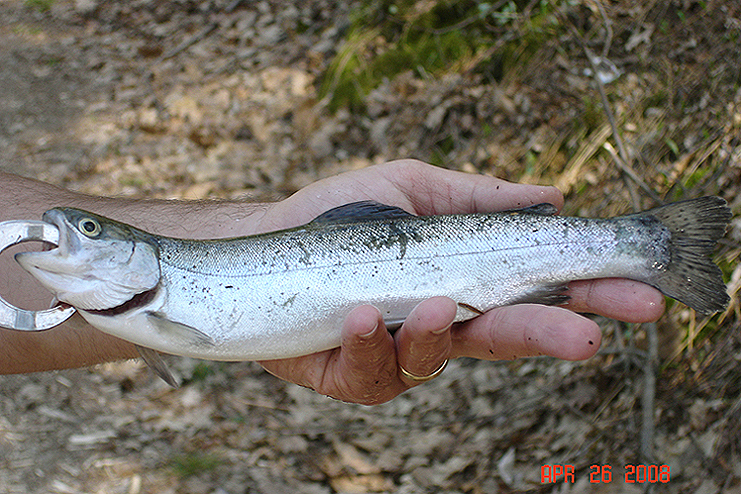 I know from fishing for pure steelhead in NY, that this time of year steelhead take on a almost full silver pattern with a darker chrome back and white belly. There profile is generally more slender and aerodynamic. 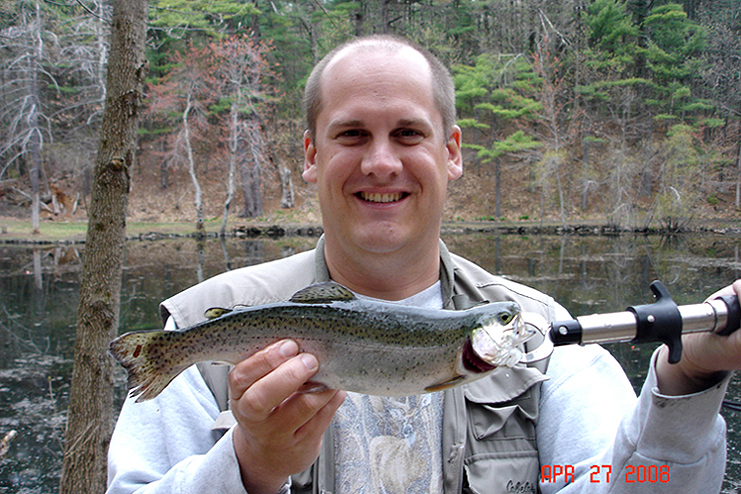 Where as to the regular domestic rainbow trout, they are generally stockier, plumper fish and fully spotted with a distinctive pink band. This was the first time myself and the organizers of the two events have heard of these fish. I dont know what the actual name of such a hybrid is. 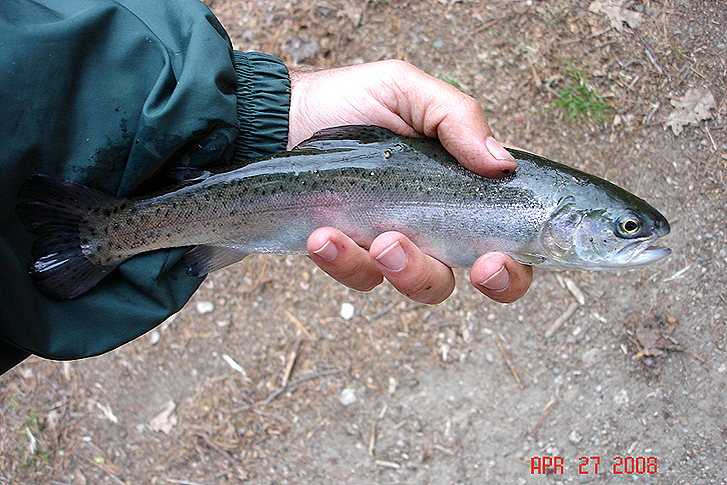 I know out west when a cutthroat trout hybridizes with a rainbow, the off spring are called cutbows. So as to a name Im guessing Steelbows? Part of what triggered my curiosity with these fish was what would these fish look like, would they look like one of there parents primarily or would they have there own distinctive look to them. 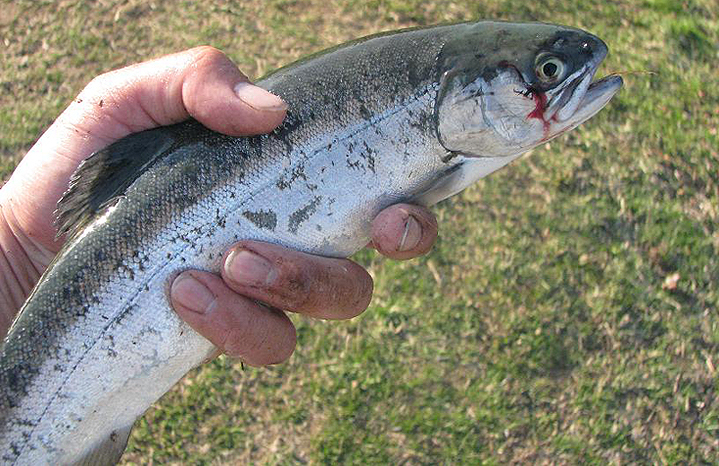 How hard will these fish fight, compared to a rainbow. 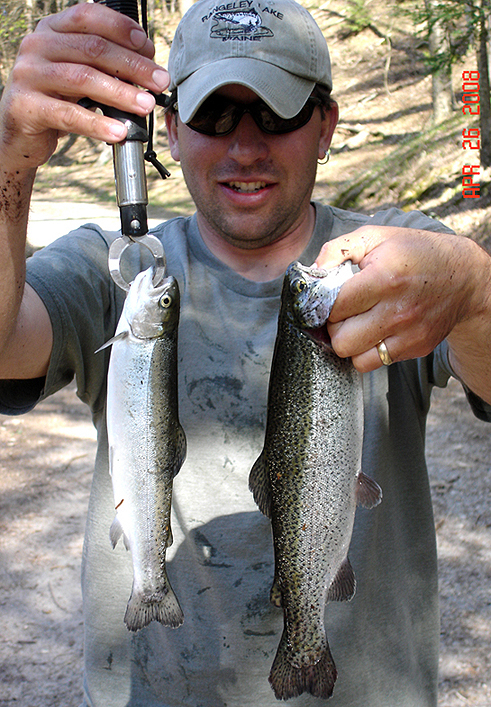 I found them to fight much harder and they are even more aerial and heavier head shakers than the regular rainbow. 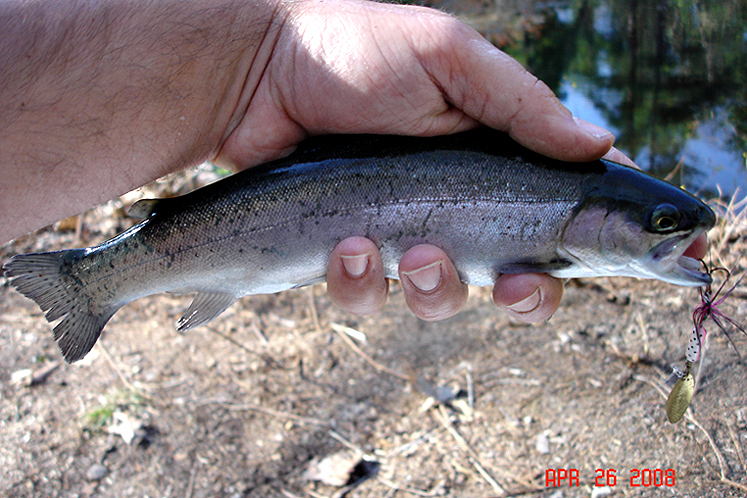 For the most part they looked like little miniature steelhead. Most of them had the dark backs and were silver with very few spots, if any. While others had a faint pink band and lightly spotted. 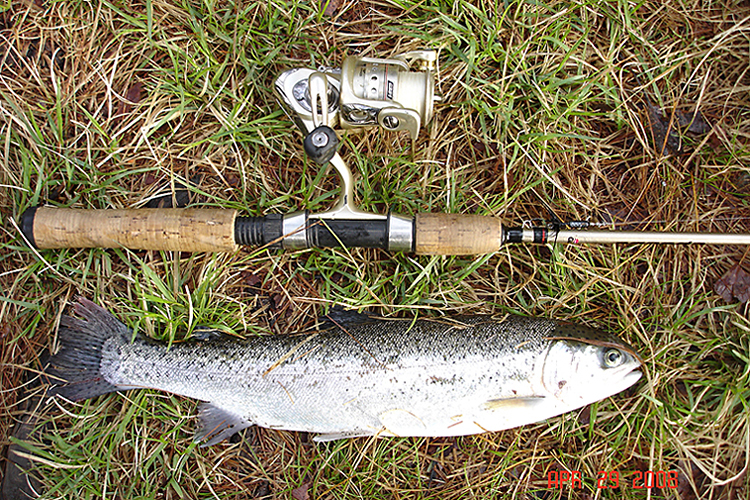 Mixed in the stockings were also rainbow trout and when you caught a rainbow you could clearly see the difference in appearance when compared to the steelbow (as pictured below). Steelbows made for an interesting catch and offered a unique opportunity to fish for something slightly different. On ultra-light and fly gear they are a blast. 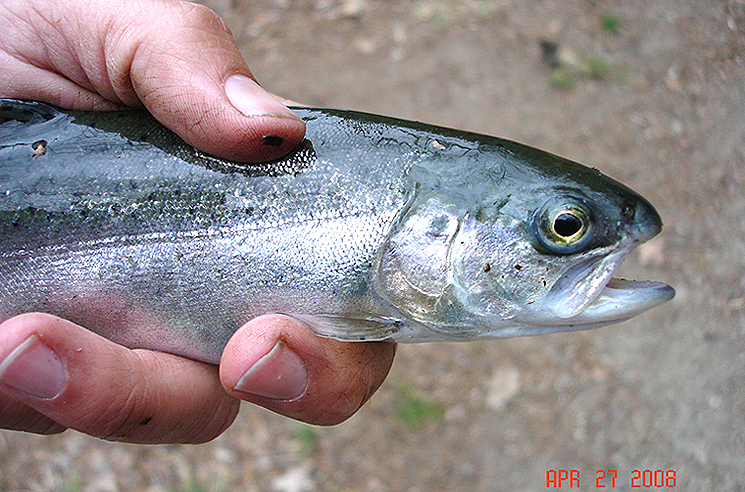 I hope who ever the hatchery is will continue to raise and stock more of these fine fish for future trout seasons.